I decided to take a long walk up to Cushman view, which is about 4 miles from the house with the dogs this morning. It was cool when we started about 47 degrees, perfect for a walk. The hardest part of the walk is the 2 mile climb up Cedar Mountain you go up about 1000 feet in elevation. 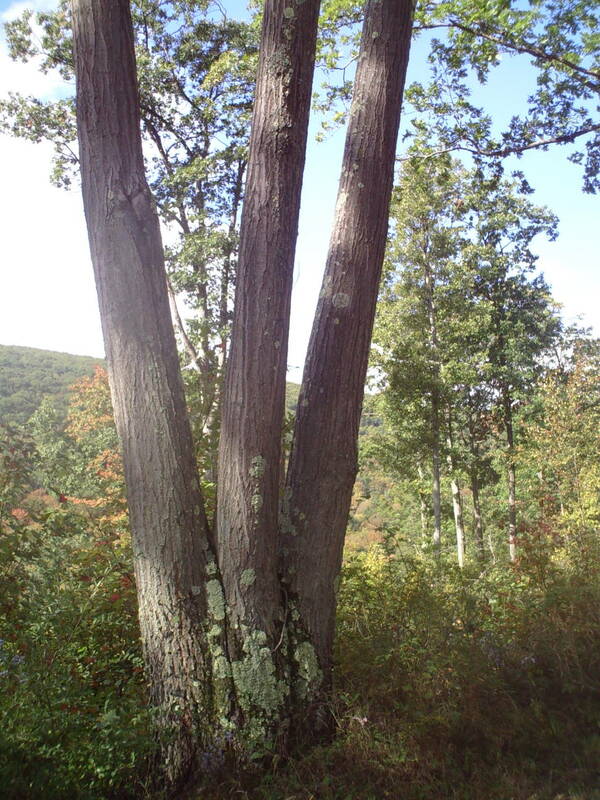 About a mile from the house are the Triplets three oaks growing together that mark my half-way to the top of Cedar Mountain point. When I reached the top of Cedar Mountain, I decided to walk the pipeline, which comes out just about a half a mile from Cushman view. I let the dogs romp a little farther from me in that area, since I didn't have to worry about cars. The distance proved too much of a temptation for Scooter and he found some bear crap to take a roll in just out of my control. So the rest of our walk the air carried a bit stronger scent of bear. Cushman view is on a turn in the road that opens up a view of hundreds of square miles of forest. 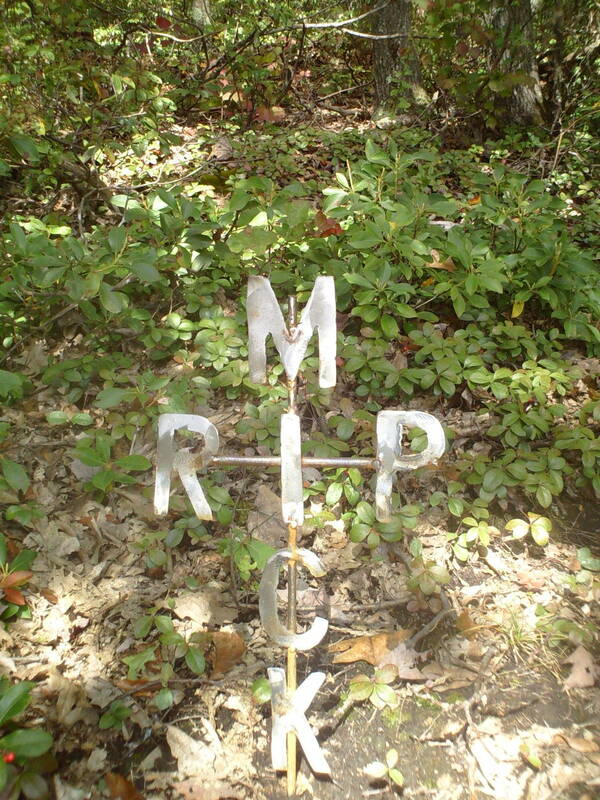 Above the road is the resting spot of Mick Freed long time resident of Leetonia, who passed on a little more than a half year ago. Mick has a nice rock below him and his view of the valley is unsurpassed. 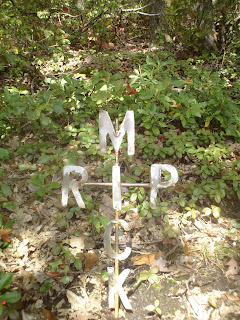 I talked to Mick a bit and seemed to sense he is happy not to be working so hard now. 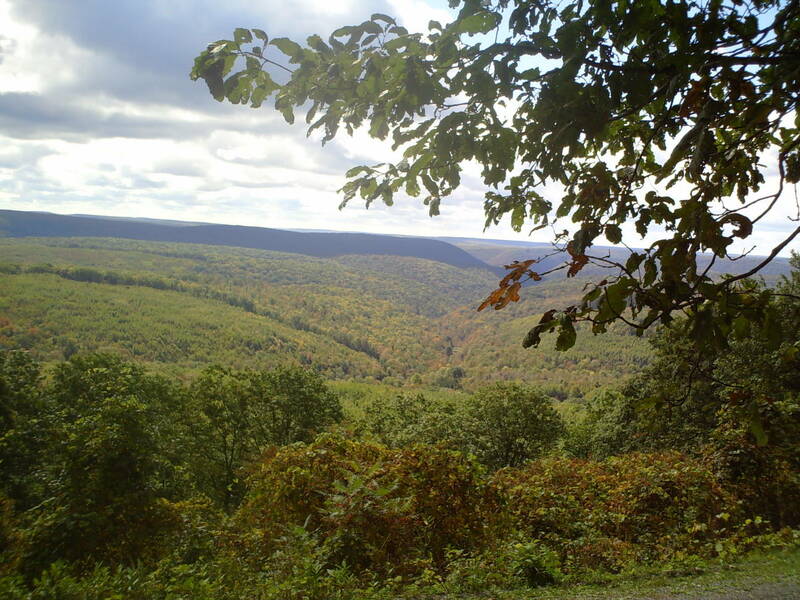 I have often felt him sitting there on that rock overlooking Leetonia and making sure all is well with the place he loved so much. Leetonia gets in your soul as much as any relationship, but it is a hard place to crack out a living. For people who love the company of a lot of people it can be desperately lonely. 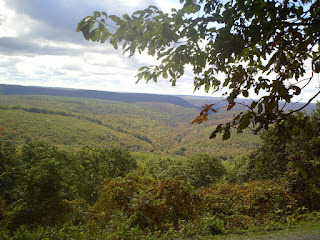 Still sitting there looking out over the forest it is hard to deny anywhere is more beautiful to live. 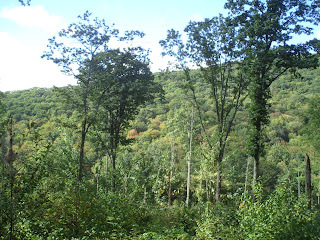 The early color in the trees is disappointing this year as most of the maples are just dropping leaves. Hopefully, the oak will come through with a bit a red sometime in the next couple weeks. Mountain girl, Paula, logging out. Sunday we saw a small hummingbird being attacked by other hummingbirds. I found it later laying in the front yard upside down. I thought it was dead until I picked it up. I brought the small bird inside with a feeder. It was so weak it didn't do anything but sit on Lee Anne's hand. Fortunately, the bird sat on the feeder and drank. So we placed it inside Speck's dog cage and waited to see if it would live. The next day to my surprise it was alive and still sitting on the feeder drinking every so often. We decided it needed 24hrs to heal before we attempted to release it. It again made it through the second night, however, that day we had a major storm and we decided to wait another day to release the small injured bird. 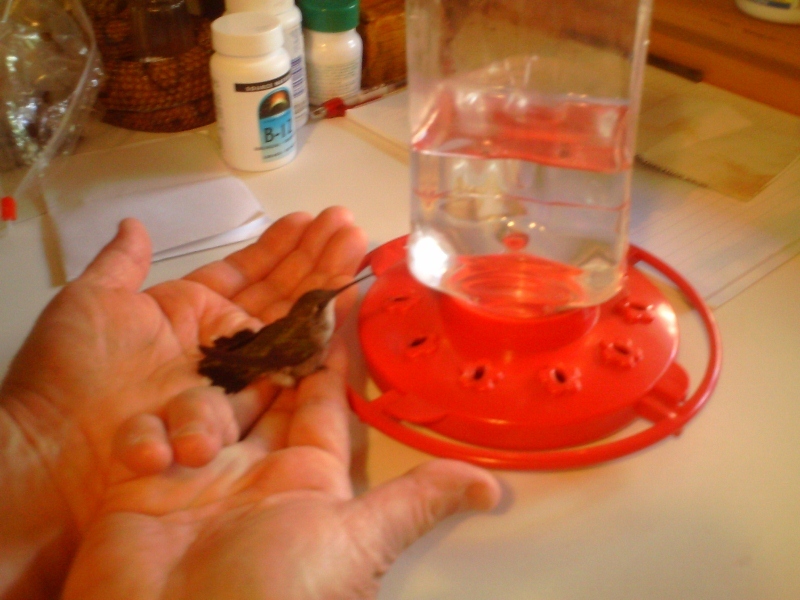 During the day it didn't move a lot but now and then it would let out a small hummingbird chirp. Since it is getting colder into the upper 30's at night, I hoped it would be strong enough to make it on its own and fly the long distance it needs to fly to go South. So today was the day. 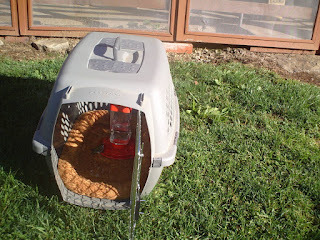 I took the video camera out as Lee opened the cage and we hoped it could fly. It hadn't made any attempts at flying inside the dog cage so I wondered if it would just fall on the ground. To our delight as the little bird struggled to get on top Lee's hand it fluttered its wings, then jumped taking a bit of a fall before climbing into the air and flying to the apple tree. We hope it survives and the other birds leave it alone. We felt we did all we could to give it a chance. But ultimately, it is up to the little bird to get to a warmer climate. 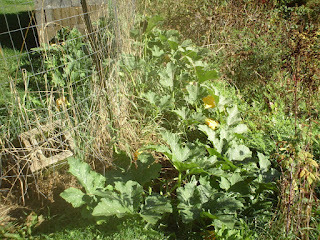 On another subject, last Fall I threw a rotten pumpkin over our fence. 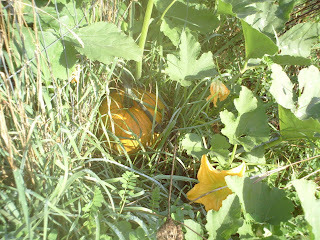 And up popped a nice pumpkin plant the one plant has gotten huge and we will get at least one nice pumpkin, which by the looks of it will be a bit bigger than the pumpkin I threw over the fence. 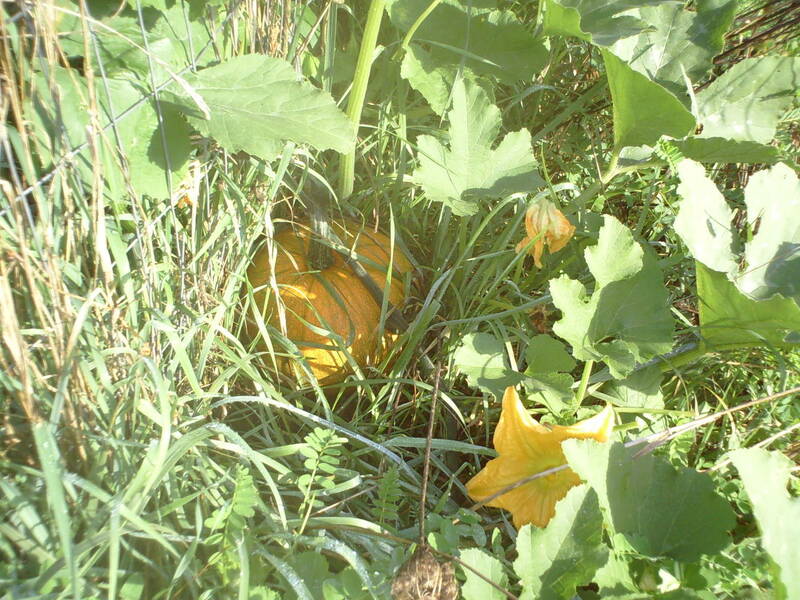 It isn't often we get free things, so we had two reasons to smile this morning: Free pumpkins and freeing a hummingbird. Mountain girl, Paula, logging out. I got up to the Dixie Run area again. 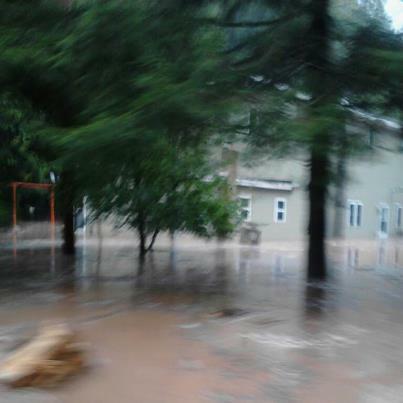 The guys were at Young Guns camp cleaning up their flood mess. Fortunately for them they had a concrete floor inside camp and throw rugs on it, which are now throw away rugs. Much of their downstairs furniture was damaged and their refrigerator destroyed. They had to cut the drywall up the wall about 18", but with the fans going I didn't notice much of a smell and it seemed they had things fairly under control. 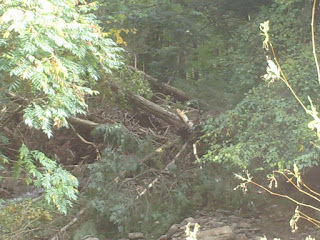 Their biggest concern and the concern of those living in area or with camp in the area are the numerous trees now blocking the creek. You can see on of the blocks in the first picture. 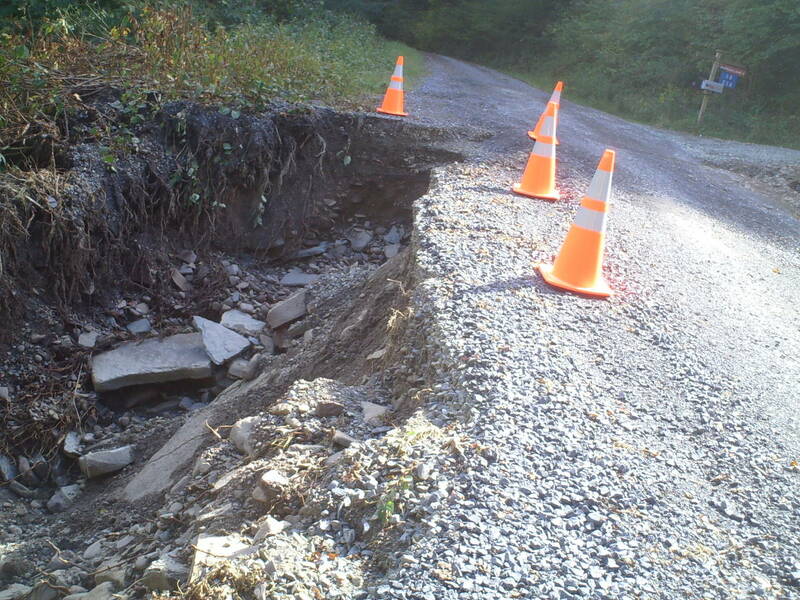 According to early reports the township doesn't have the money to fix anything including the road, which is totally blocked off about 1/2 mile north of the old CCC camp. 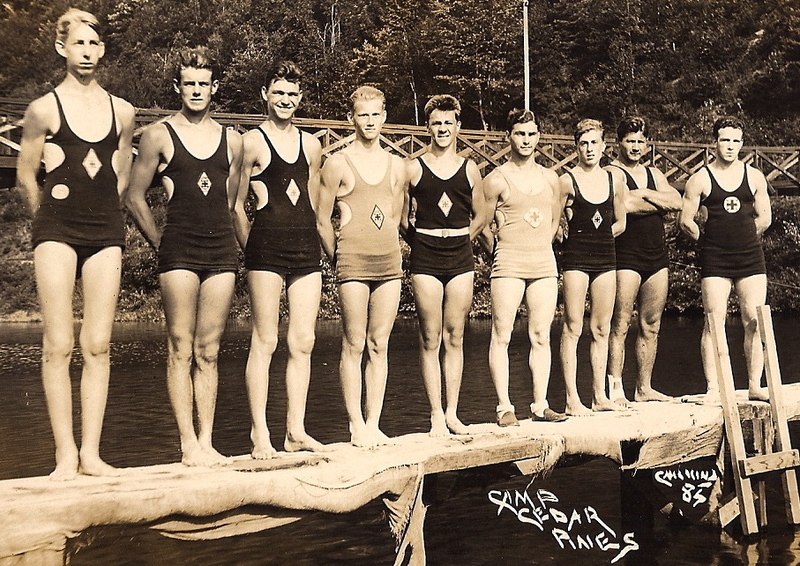 The road that intersects at the CCC camp and goes over a bridge is also unsafe. The township did "fix" or should I say make barely passable the road in front of Floyd's place(where you see orange cones in pictures). 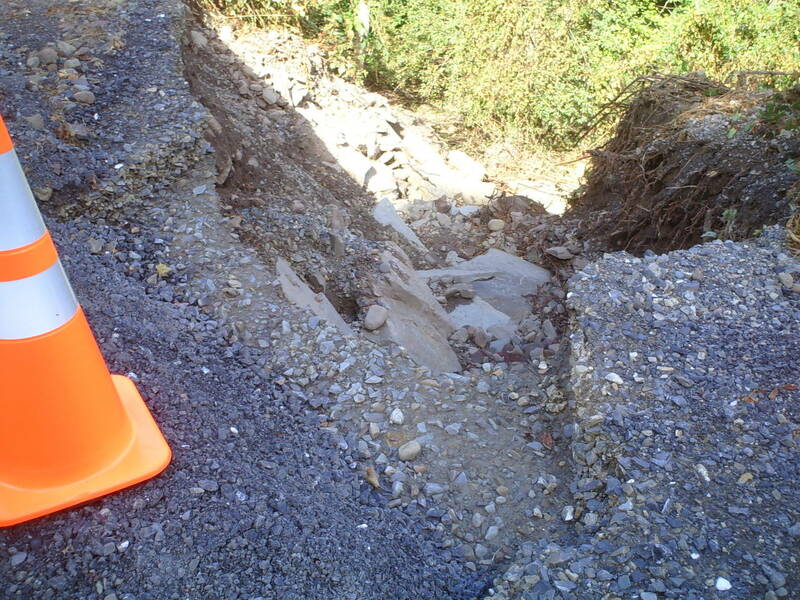 The problem will be if the area gets any more rain before these blockages and damages are addressed it could become an even greater hazard to the road and all below. I think because this was such a small area affected by this monster rain(reports of up to 10" in 6 hours by residents) it has gotten little attention or help. Since we will be heading into winter with the possibility of heavy snow/heavy spring runoffs, the idea of more damage being created here and lives or property being at risk is very real. Hopefully, someone will take the bull or should I say "Run" by the horns and get this fixed. Mountain girl, Paula, logging out. Every morning I try to take a walk with the dogs up the road if the grass is still wet. Seems like that is most days as the dew doesn't dry off until about 10am and by then it is getting a bit hot. I took a picture through the trees so you all could enjoy the view as well. It got down into the upper 30's and rained last night but is clearing off nicely today. It was 47 when we started our walk. The dogs enjoy their walk even though they can pretty much run everywhere on their own(except Speck due to large predators) they want me to go on an adventure with them. The tiniest one can outlast them all and I tried to get a little of him on a walk, but the small dog is hard to catch on the video. He goes on walks all year the only thing that slows him down is when the snow touches his belly. He gets cold then and I have had to tuck him under my jacket to bring him back. All together we hike anywhere from 2 to 6 miles a day up and down the mountain. The dogs of course do a lot more miles than me weaving back and forth across the road. They stay in good shape and it helps me keep in shape as well. Mountain girl, Paula, logging out. 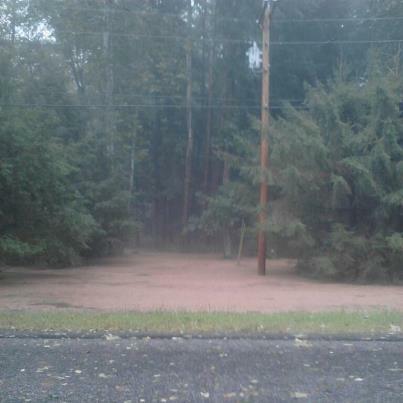 Last week on Sept 6th we had a thunderstorm that dumped about 2 inches of rain fairly fast. Cedar Run and Slate Run had about the same and Liberty had around 4 inches. Imagine my surprise when friends of ours called saying they had heard Dixie Run got 10 inches of rain and the road was washed out. I assured them of no such thing someone must be telling a tall tale. Then I started hearing some other people say similar things. So I went to look today. All I could say is wow! 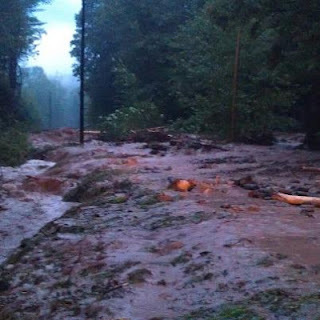 In a very small area they got 7-8 inches of rain all at once and it roared down Dixie Run. When it came to 414 it bounced and flung over to Young Guns Club leaving their yard a big muddy mess and filling the ditch and road with mud. Then it pushed its way under the bridge and bounced again against the Morris side of the bridge, flinging mud and debris through the back yard of my friend's camp up to the back of their cabin and creating a new much closer creek to their house. Fortunately, no damage was done to house but the yard is a mess of rocks and mud. Even after almost a week since the rain it is still wet and mushy. Now I must help them figure out what we will be allowed to do with all the mud. I am sure they aren't going to let us push it into the stream. Update some pictures came in showing the area during the actually flooding. I added them. Thanks to Donald Strang for forwarding them to me. It looks even worse when you see how high the water was. I guess that shows you how fast a mountain can multiply a rainfall and cause a quick flash flood. Last week we got several thunderstorms. The one in the video was preceded with 80 mph storm warnings. 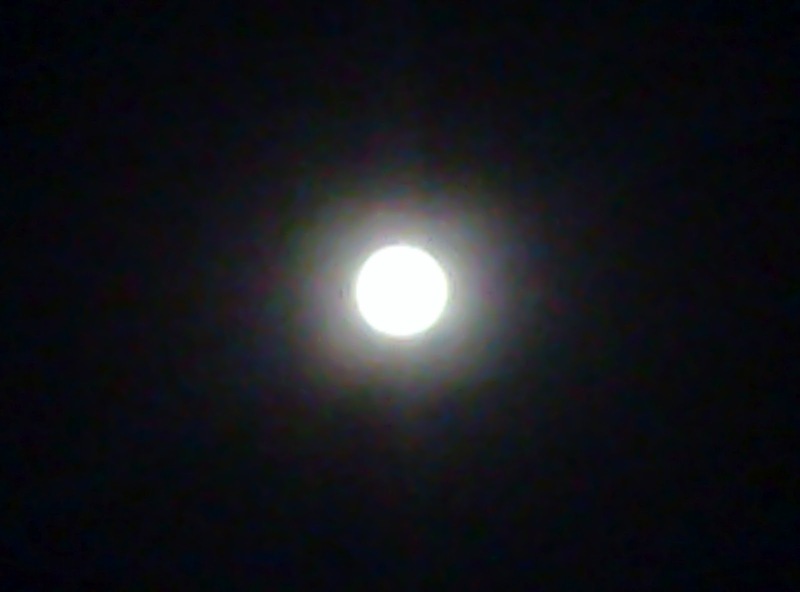 So I tried to capture it. But I guess it didn't want to make a show and blew by at a mere 30 mph, although I hear it got a bit rougher after it left us. If you double the sound and add trees falling it would give you an idea of an 80 mph storm. 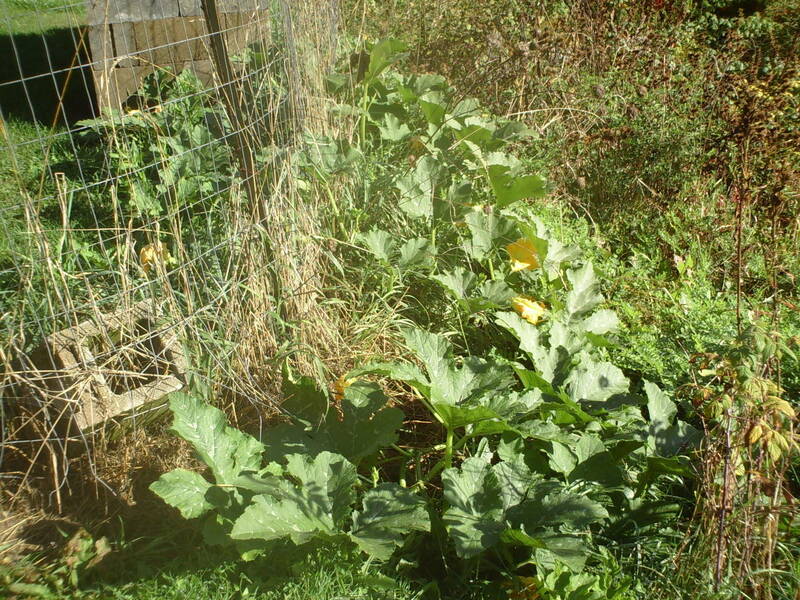 The finches love the mullein plant seeds and eat them as fast as they turn brown outside our kitchen window. I think the hummingbirds are storing up for their flight south. The temperature went down to 35 last night and they aren't too crazy about those kind of temperatures. There is definitely a feel of fall in the air. I didn't realize how oppressive the summer heat had made me feel until we started getting some cooler weather. I had been dragging around most the summer and now with the cooler temps I am finding the old spring coming back to my step as I work and climb up and down the mountain. Got part of our place restained yesterday and hoping to get the rest done before winter this year. I have put it off for three years doing other people's work first and it got to the point where I had to put my place to top of list. That is the disadvantage of being a carpenter your own place never gets fixed. Off to town this morning then back to the painting. Mountain girl, Paula, logging out. 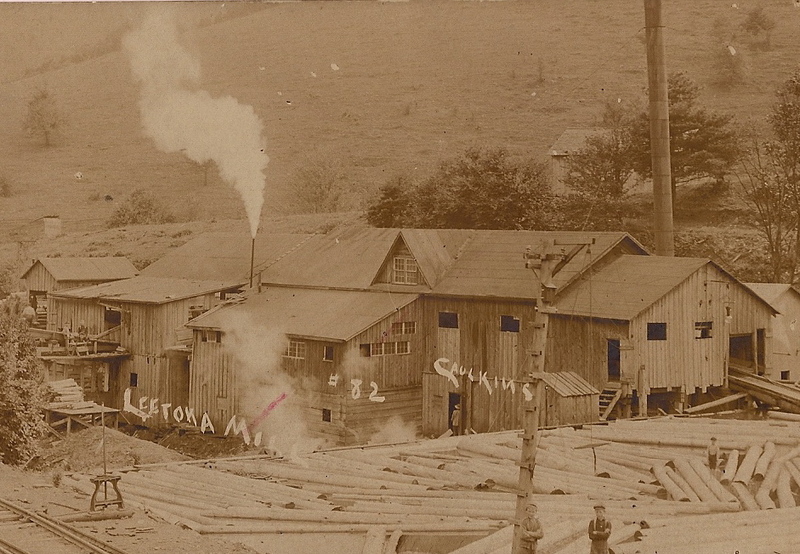 Here is a nice picture of the Leetonia Saw Mill given to me by the Sigmans. Looks like there isn't a lot of live trees too close. You can see a young lad to front of picture and it makes you understand how early kids worked back then. 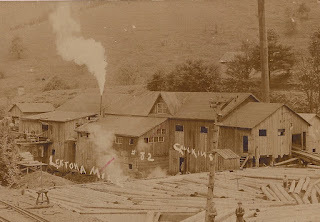 I am sure it was a hard, dirty place to earn a few cents. Last night we got a heck of a thunderstorm. It made me think of an email I received from a blog reader. He told me a story about a time he and his kids were sitting around a campfire and a large tree studdenly fell. The kids ran for safety thinking giants were in the woods. I thought about that vision last night as I listened to one booming thunder noise after another. The woods of Leetonia were full of Giants and they spit out a few quarter inch hail balls at our house just for fun. Last night's giants were merciful and didn't pull the plug on our electric as they often do when they are romping through the woods. My empty bucket had 2" of water in it this morning. Even with all that our creek didn't rise a bit. The dry ground almost makes a sucking sound when it does rain. Pine Creek did take a quick rise to just under 4 feet, but dropped back down to 2 pretty quickly. So if you wanted a fast canoe ride you had to be on the ball to get it. Mountain girl, Paula, logging out. 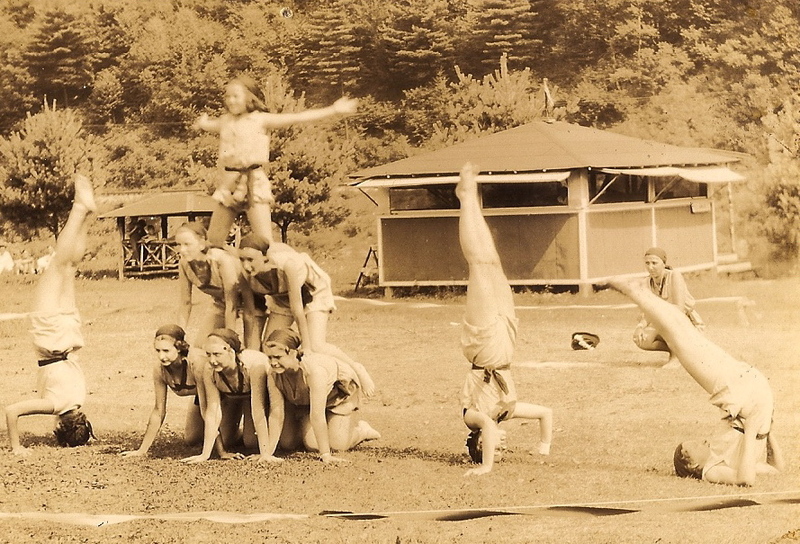 It started out like any other Labor day weekend full of fun at the Bonitz camp. Abby Creamer jumped on her dad's 4-wheeler and in less than 10 seconds changed everything. 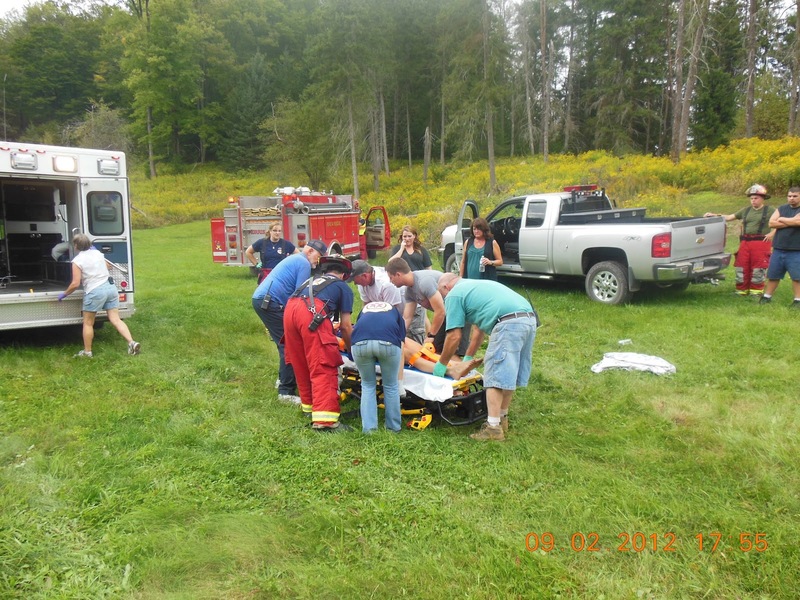 According to her mom LeAnn Creamer, " She got on my husbands atv and in 10 seconds she hit a weird bump and fell off. She is so lucky. She is okay. They are keeping her at geisinger till Wednesday for observation. She has bruised lungs a small laceration on her liver, a broken pinky that needs surgery and a concussion. Morris Fire dept were so awesome. They landed the helicopter right in the yard. It was so scary." When you get hurt up here you aren't 10 minutes from a hospital or help. It will be a minimum of an hour to see any emergency help. 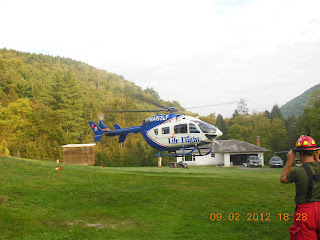 It is then another hour to a local hospital or if they call Life Flight about thirty minutes to get them and another 30 to fly you to Geisinger. 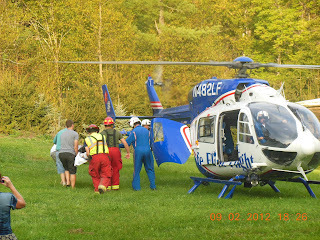 I can tell you from personal experience, you want to be at a Trauma 1 center like Geisinger if you are hurt bad. According to Bob Paul who took all these nice pictures and contacted me, Abby was knocked out by her accident. It looks like from the list of her injuries was indeed lucky not to have a more serious head injury. From personal experience I can tell you, flying in the helicopter as a patient is a bit wierd. They put you in the belly of the beast with just enough room for you. Your head comes up between a nurse's legs. Stuff is within about 18" of the top of you and there is a small but not enjoyable window to your side. You really have no idea of what is happening or where you are going. In my case drugs they gave me helped a lot with that issue. No one else can come with you. So you take off leaving them about a 2 hour drive behind you. 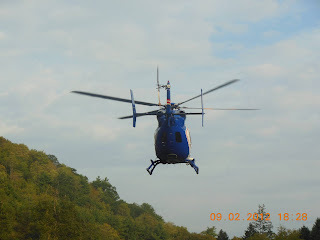 When you land at Geisinger you are wheeled in and looked at by everyone in the hospital(or at least it feels that way). They poke and prod at you and put you through machines. You feel very alone until your family arrives. I thought a lot about how scared Abby must have felt being alone in the ER until her family came. Then the family worried sick, imagining the worst, drives the longest drive of their life. That two hours to Geisinger seems like eight. After it is over and a few days have passed. You realize how quickly life can change and if you and your loved one made it through the accident, how lucky you are. You never see a Life Flight helicopter again the same way. And you deeply appreciate all the care and concern conveyed to you by the medical people. Leetonia is a wonderful place to live, but now and then it reminds us all just how isolated and dangerous it can be. Even with all this the last picture says it all. "Those humans have the strangest parties. You better stay away, cause a big bird came down and hauled one of them off into the sky." Another day in Leetonia. Mountain girl, Paula, logging off. 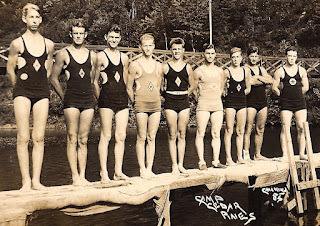 Thanks to the Sigmans I have some interesting pictures and information about a popular camp called, "Camp Cedar Pine." 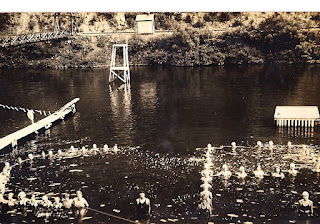 This camp was operated in a joint venture between the New York Central Railroad and the YMCA of Jersey Shore from the years of 1915 to sometime in the late 40's. It was then sold to a Church camp group. You can see in one of the pictures a foot bridge from the railroad over Pine Creek to the camp. One of the most common ways to get to camp would have been the train which stopped to let the kids off. 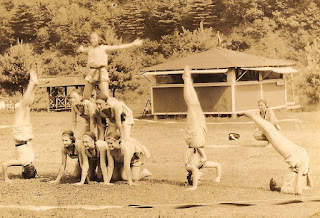 In 1933 according to an old pamphlet the cost of staying at camp was: 2 weeks for $25.00/week, 3-5 weeks for $11.50/week or more than 6 weeks $11.00/week. 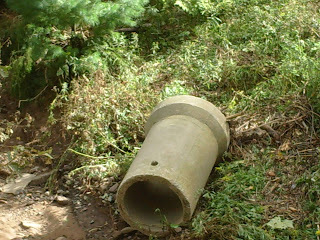 it was the size of a softball, but hard. The name Duck pin came about because someone commented that it looked like a flock of ducks taking off when you hit them. 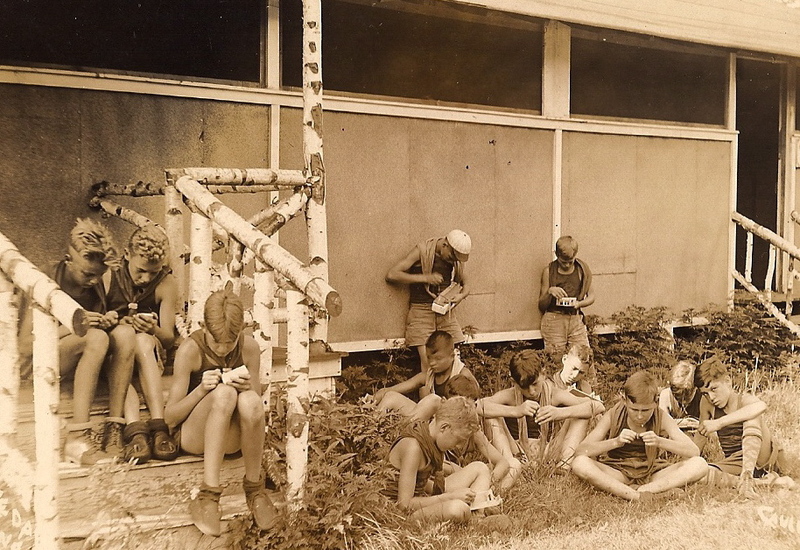 The literature about the camp informed parents that children of poor behavior would not be welcome and the parents needed to accept their children would be disciplined by the camp staff. Bad behavior could result in a child being sent home without a refund. from home. This is the way they made sure the campers wrote home regularly. 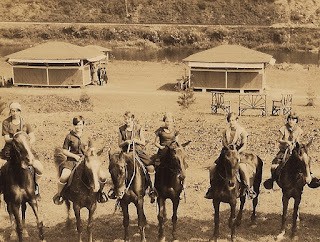 Parents were not encouraged to visit much but if they did come they had to stay somewhere else like Cedar Run Inn. 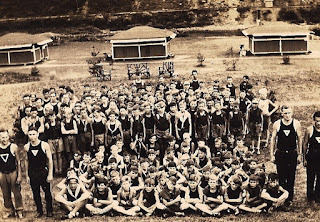 I am not sure how many campers attended this camp over the years, but just looking at a few pictures gives me the idea this was no small amount of children. The children came from all over including a few from other countries. 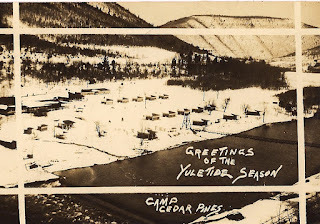 Today just a couple buildings remain which are now seasonal private camps. 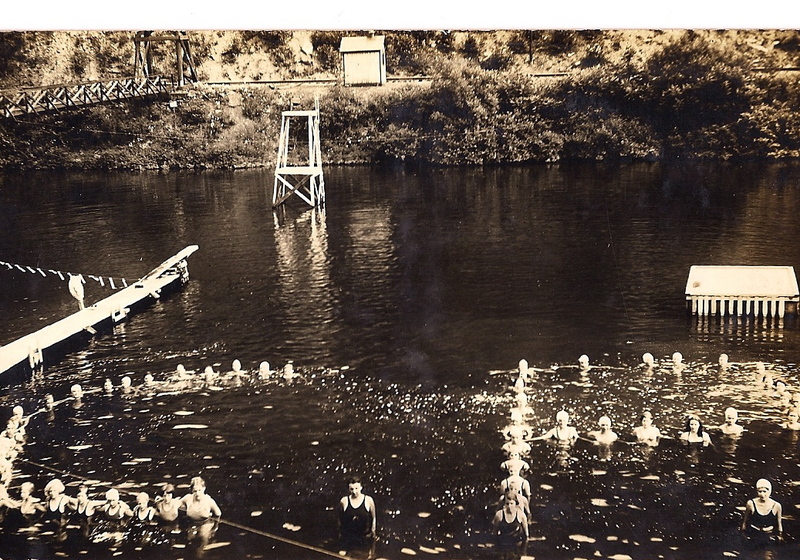 But I have no doubts memories were made and cherished at this camp at the bottom of the Pennsylvania Grand Canyon. 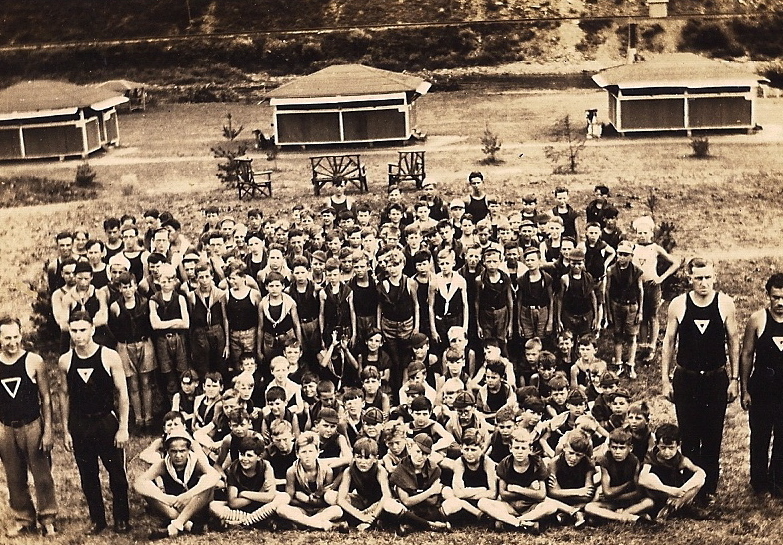 Based on the time period of this camp I am sure there are a few people still alive with personal memories. 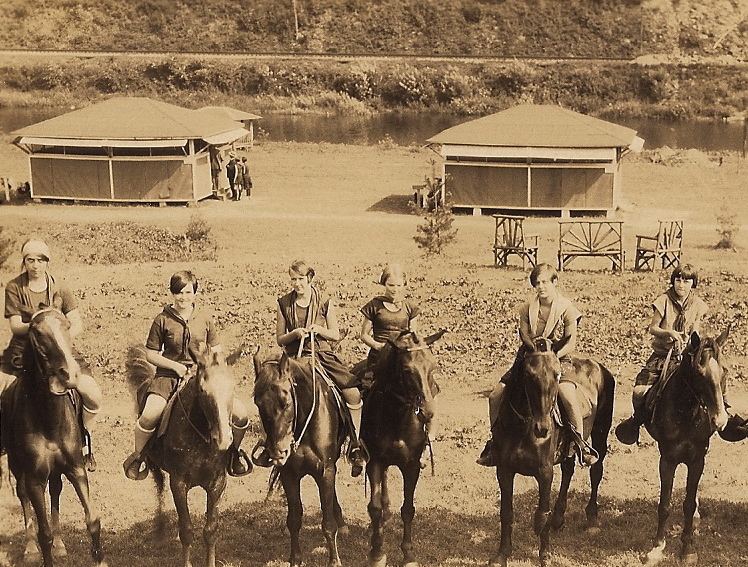 Now the camp is gone along with the railroad. Times have changed as the railroad is now a bike path. The idea of being in the woods with only a land phone or no phone frightens people today. Maybe its time for something like this to return people to being in touch with the mountains and the woods and pull their hands and minds away from small gadgets of our day. other and this earth we have been given. Mountain girl, Paula, logging off. 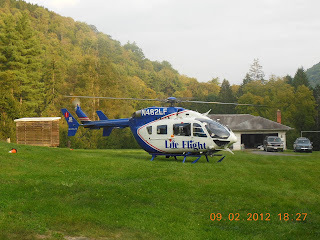 Lee came home the other day after mowing a neighbor's camp and said there was a strange buzzing hole in the ground. She didn't get too close to it but said it looked like someone dropped a bowling ball into the ground. Now curiosity peaked, I had to go take a look. I had seen bee nests in the ground before, but typically they were small holes that the bees came out of and bite you when you inadvertently walked over them or mowed over them. I approached the hole and I could hear the buzzing then saw several small bees that were yellow but not as big as the yellow jackets I was used to. I also noticed part of the combs from the nest were about two to three feet from the nest. It became obvious to me that a bear heard the buzzing and decided it may contain something good to eat so dug it up creating the large hole and exposing a large portion of the underground nest. The bees would not let me get any closer for a picture without consequences. I know it isn't that clear but there are horizontal channels in the lower part of the hole and it is completely filled with a nest similar to the ones you see on trees but underground. So the mystery was solved. 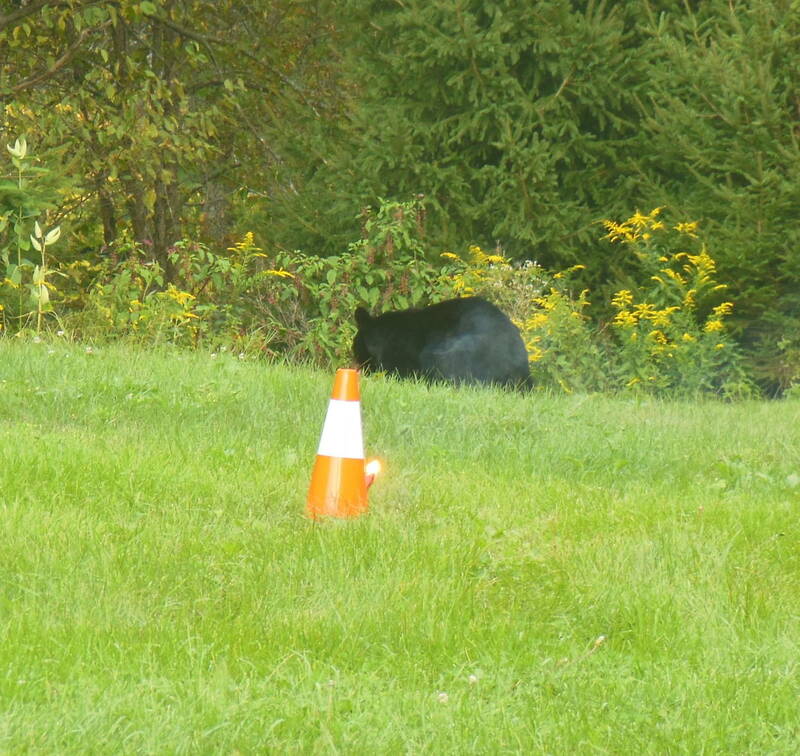 The bees didn't dig a large hole for their nest a bear did. I wish I could have witnessed the bear digging as I am sure the bees were not happy about the intrusion. On another note most of the male hummingbirds have gone south. Lee hasn't seen any of them for around 4 days and the consumption of food has dropped significantly. We still have babies and females who will probably be around for another 2 weeks then they too will gradually disappear until next Spring. Also got a picture of the blue moon over Leetonia last night it was a beautiful clear night. There are a lot of people up for the last major holiday and the weather looks like it may be hot and dry for most of the weekend. Have a great weekend. Mountain girl, Paula, logging out.